154 pages | 8 B/W Illus. This book also offers a set of Professional Development Facilitator’s Guides to help you and your colleagues master the core competencies of SEL and implement them effectively across your school or district. The appendix provides additional strategies for teaching personal space, Safe Touch, and making mindful accommodations for students who have experienced trauma. "With her well-crafted approach, Carla Tantillo Philibert has created a resource that provides research and practical strategies and tools today's educators can use to support and engage students and school stakeholders in developing skills essential to successfully navigating a changing and challenging world." 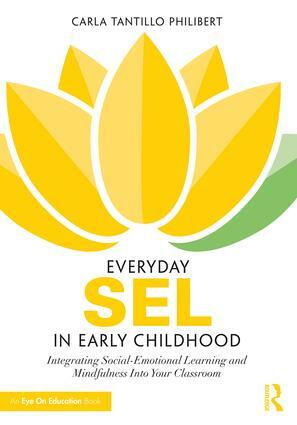 "Today’s busy educator wants a book that sifts through the lounges of research on Social-Emotional Learning and gets right to the essences of why it is important, how it looks on a daily basis and what can be done to better prepare students for the challenges school and life offer. In this must read, Tantillo Philibert provides a plethora of ready-to-use strategies, tools and techniques teachers can put to use the next day in their classrooms." Carla Tantillo Philibert is the founder of Mindful Practices, one of Chicago’s leading school Social-Emotional Learning organizations, and oversees a team of 20 dedicated practitioners who empower teachers and students across the nation through mindfulness, yoga, and SEL to create an equitable educational environment.